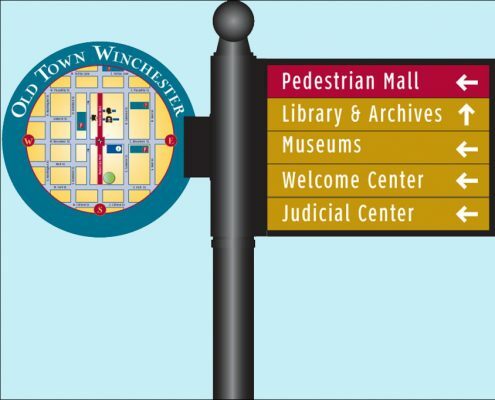 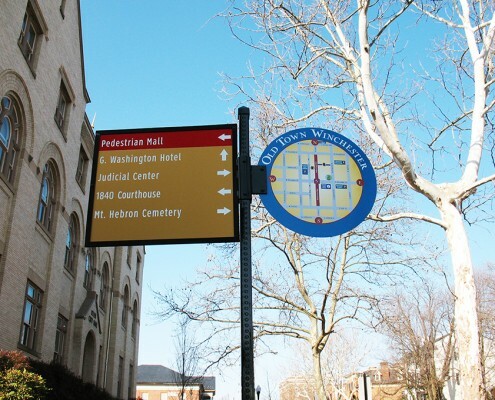 The City of Winchester contracted with Frazier Associates to provide design and consulting services for the development of a wayfinding sign system to direct visitors to the many historic as well as non-historic sites and attractions in Winchester. 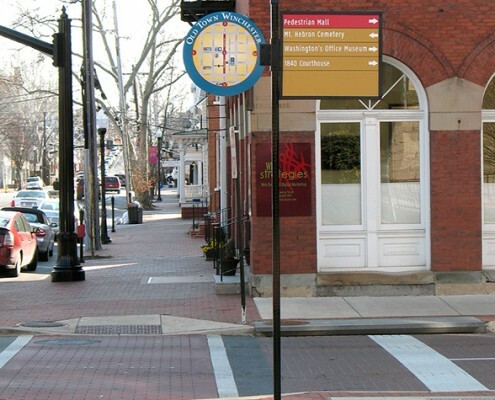 The core of the historic district has a wonderful pedestrian mall. 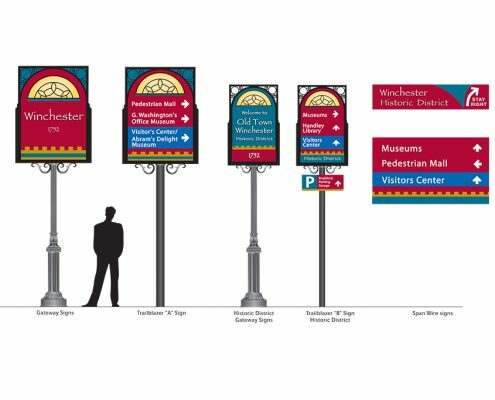 One of the primary goals was to better direct visitors to the mall through the numerous one-way streets. The project was later expanded to include more pedestrian oriented signs within the downtown. 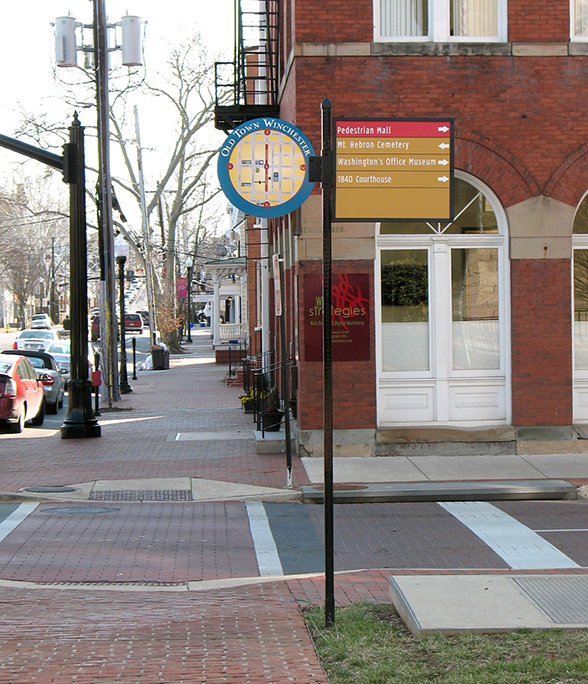 Frazier Associates worked with a sign committee comprised of local merchants, the public works department, police, VDOT officials, and representatives from various city organizations to create the new directional signs. The City’s historic character is reflected in the design of the resulting sign system, which is made up of gateway entry signs, trailblazer signs and pedestrian signs.